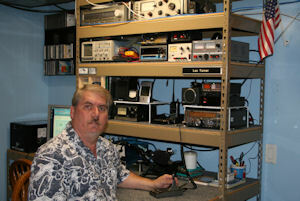 Welcome to the internet home of amateur radio operator W9LRT, Les Turner. provide information about technology that I am specifically interested in. provide training and resources for other amateur radio operators. provide immediate access to weather and emergency information. provide other items that advance the hobby of amateur radio. The FCC Callsign Search is operational and you may lookup callsigns throughout the website. Click the highlighted callsign in any list to display the callsign owner information from the FCC.